The economic growth that has taken China to second place in the world by size of gross domestic product after the United States has been astounding — and its numbers are staggering in Africa too. In 2009, China surpassed the United States as the continent’s largest trading partner. By 2012, its trade with Africa was double the United States’. Western media tend to inflate the rhetoric surrounding China’s rise in Africa. Headlines are often resentful and sometimes border on fear-mongering: China is “winning” Africa from the West. The United States must “catch up” to China if it hopes to maintain economic, security and cultural relevance in Africa. A monolithic “China” sees Africa as a place to get rich quick, and doesn’t care much about the consequences. Read the full article at VICE, and watch the full documentary, Chinafication of Africa, which I helped produce, on VICE HBO on April 22nd. The global mineral trade can be ugly. Think children skipping school to dig barefoot with picks and shovels for gold or other precious ore. Picture warlords and army officers using guns to traffic minerals on the black market. Think Democratic Republic of Congo. Or perhaps, consider the multi-billion dollar corporations that source many of the precious metals they use to build your mobile phone or your laptop from under regulated and often illegal mines. U.S. Congress began thinking about this in 2010 when it passed a first-of-its-kind law aimed at curbing the trade of certain “conflict minerals” in the Democratic Republic of Congo—Africa’s second largest country, whose eastern region has been ravaged by mineral-fueled violence for decades, killing more people than any other conflict since World War II. Covering Business spoke with Michael Kavanagh, a veteran Bloomberg reporter in Congo who has covered the mineral trade there for more than a decade, about what journalists get wrong and how they can do a better job of covering this complex and divisive subject. Read the article at Columbia University’s Covering Business blog. In recent decades, Western media has tended to place the blame for Africa’s problems overwhelmingly on African shoulders. Given portrayals in the mainstream press, for example, one could have been forgiven for thinking that Robert Mugabe’s ongoing state plunder in Zimbabwe or the Joseph Kabila administration’s secret mining deals in Congo were purely African scandals, manufactured by Africans without any outside help. And yet a subtle shift in western media’s coverage of Africa is underway: today many news outlets are making great efforts to uncover the ways in which foreign corporations and actors from North America, Europe and Asia are central to corruption on the continent. Read the full story at the Columbia University Covering Business blog. Any good reporter, regardless of his beat, will consult as wide a range of sources as possible to get an accurate picture of his subject. But sometimes there’s a single source who seems to know almost everything—an expert who’s the ‘gatekeeper’ to a castle of information and contacts on the business or deal the reporter is investigating. Enlisting the help of this person can unlock access to dozens of key sources and documents all at once. This happened to be the case when I was reporting my master’s thesis for Columbia Journalism School about China’s rise in the Democratic Republic of Congo, now an eBook. I was investigating a $6.5 billion “infrastructure for minerals” deal in which the Chinese state-owned companies partnered with Congo’s state mining agency to mine an incredible 6.8 million tons of copper and 427,000 tons of cobalt over the subsequent 25 years. In exchange for the minerals, the Chinese companies would spend $3 billion to build roads, hospitals and universities throughout Congo. That investment was not structured as a gift, but a loan: every dollar spent will eventually be paid back in copper revenues. The more I reported, the more the name Johanna Janssoncame up: It seemed like every journalist, academic and business insider I spoke with about the deal would refer me back to her. Jansson is a Swedish PhD candidate who has spent years researching the specific megadeal I was reporting on, called Sicomines, for her dissertation at a University in Denmark. In January 2013, I approached her in Kinshasa to ask for help understanding the deal—and for her contacts to some of the most powerful and knowledgeable stakeholders in Congo. My eBook, supported by the Pulitzer Center, would not have been possible without the information and contacts she provided me. But what motivated her—an academic expert and a business insider—to open up to me—a journalism school student and someone with relatively little knowledge of the subject? What inspired her to hand off to me information that she had spent years gathering? Nearly two years later I called her to discuss what a journalist can do to gain the trust and help of an expert– and what that expert often expects from the journalist in return. Read the full interview at the Columbia University Graduate School of Journalism Covering Business page. The million Chinese who’ve landed in Africa are plucky, hugely ambitious and have an eye for opportunity. They’re also helping make China a big player on a continent once dominated by the West. You’ve seen the headlines: China is taking over Africa, and the United States and Africa’s former colonizers in Europe have lost sway. Mostly, it’s true. Throughout Angola, Ghana and the Congo, some of China’s largest companies are building roads and railways. They’re backed by Chinese banks, and they’ll pay off their loans in kind through mining and oil deals. All the while, small-scale Chinese entrepreneurs are moving to Africa, opening pharmacies, trading furniture or buying land to farm, much as earlier generations did in Southeast Asia and North America. African governments are welcoming them with open arms, and for the most part, so are Africans themselves. Earlier literature on China’s rise in Africa pushed us past the easy — and flawed — paradigm of China as Africa’s latest ”colonizer.” But in his forthcoming book, China’s Second Continent, Howard French argues the Chinese who migrate to Africa do so as individuals motivated by simple, familiar dreams of opportunity. 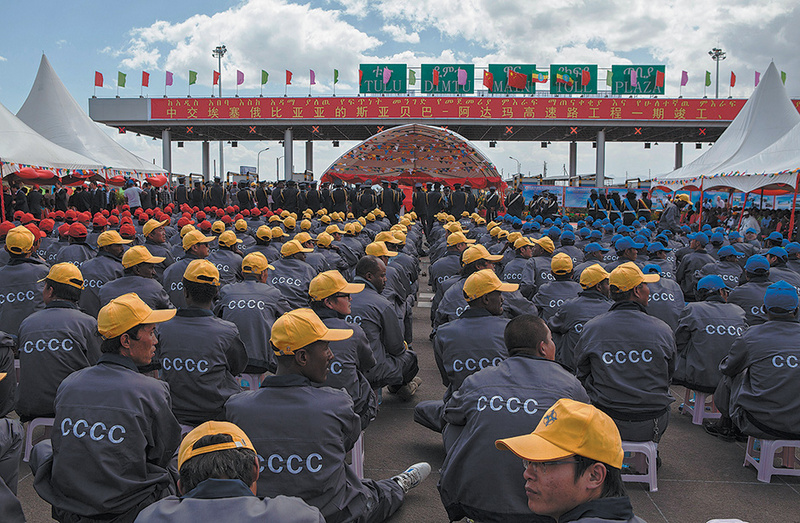 A former China bureau chief for The New York Times and veteran Africa correspondent, French traveled the African continent, speaking Mandarin with Chinese men and women who had grown weary of the daily grind in their homeland. The characters French encounters are risk-takers: sometimes foulmouthed, often lucky and universally ambitious. But don’t go telling your friends Africa is no longer poor. The raw numbers are misleading, and “much of Africa’s celebrated growth is vulnerable,” according to the first Africa Transformation Report, published last month by the African Council on Economic Transformation (ACET). According to ACET, African economies have failed to transform in ways that would ensure long-term gains. Nairobi, Kenya– Last month, the World Bank announced an ambitious new project aimed at helping African governments earn a better price for their natural resources and accelerate the pace of mining across the continent. Dubbed the ‘Billion Dollar Map’ for its meteoric price tag, the decade-long initiative will scour a century of historical research into the continent’s mineral makeup and collate it in a public database. The project will then finance governments to conduct exploration to fill in the gaps. The need for better research into the continent’s minerals is clear and urgent. When it comes to negotiating contracts, knowledge is power, and African government’s uncertainty over the levels of the resources they possess has contributed to them signing some hugely unfavourable deals. Read the full story at Think Africa Press.